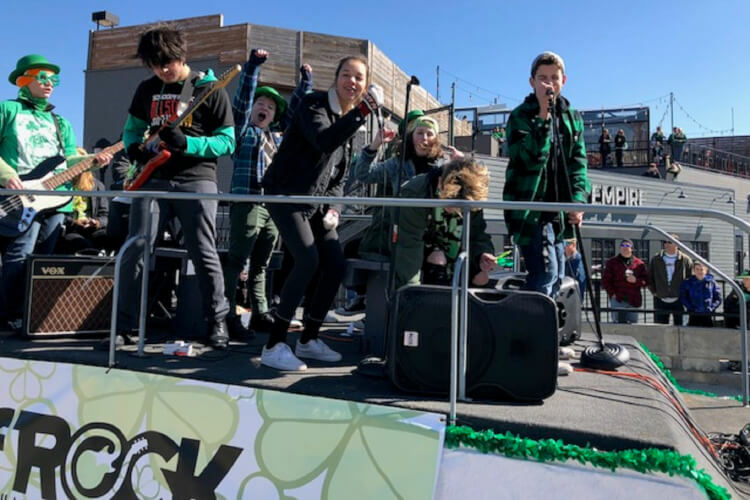 School of Rock Hinsdale's House Band, a group of our most advanced and dedicated students, will play live from a professional float in the 73rd Annual Pet Parade. Accompanied by our faculty, School of Rock families and of course family pets dressed up to celebrate the 2019 Parade Theme: “Celebrating Heroes & Superheroes”! Pets Parade Charities, established in 1999, is headquartered in La Grange, Illinois. It is dedicated to promoting and supporting the health and care of animals in metropolitan Chicago. In addition it promotes awareness of the value of animals in individuals lives and the special bonds that exists between kids and animals.